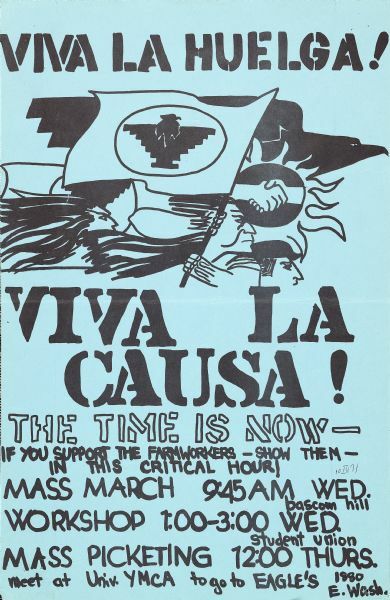 Poster promoting a demonstration in support of farm workers. Widespread strikes and demonstrations called for agricultural workers' rights. The poster advertises a "mass march, workshop, and mass picketing" on the University of Wisconsin-Madison campus. "18-I-71", appears on the poster and refers to the date of the poster's acquisition by J. Wesley Miller, February 5, 1971. Miller reference number 001672.